On this Passion Sunday, we hear of those who exultantly welcomed Jesus at the Mount of Olives and of those who clamored for his death in Jerusalem. We offer our prayers knowing that regardless of which groups we join, God hears us and answers all our needs. For the Church during this final week of Lent, that as we recognize the agony and death of Jesus in many aspects of our own lives, we may pray with hope for the Resurrection that overwhelms all evil. We pray to the Lord. That the world may be blessed with compassionate and wise leaders who act with courage in helping those tormented by poverty, war, persecution, and injustice. We pray to the Lord. That we may be uplifted by the life of St. Peter knowing that although we deny Christ’s presence in our lives through sin and selfishness, we will never be abandoned as God’s forgiveness waits to welcome us back into his company. We pray to the Lord. That doctors, nurses, and all humanitarian collaborators in war-torn areas who risk their lives to save the lives of others may be protected and blessed in their work We pray to the Lord. That the women who mourned and lamented Jesus following him to his crucifixion may inspire us to be courageous in following what is right and supporting those who are oppressed regardless of any personal sacrifices we must make. We pray to the Lord. That we may be consistent and firm in our faith in Jesus and not be shaken by taunts from the crowds to abandon our beliefs. We pray to the Lord. That Bishop Dewane may be given the grace of wisdom and the strength of character to lead the Diocese of Venice with humility and a mentality of service in the best interests of the priests and people. We pray to the Lord. That Fr. 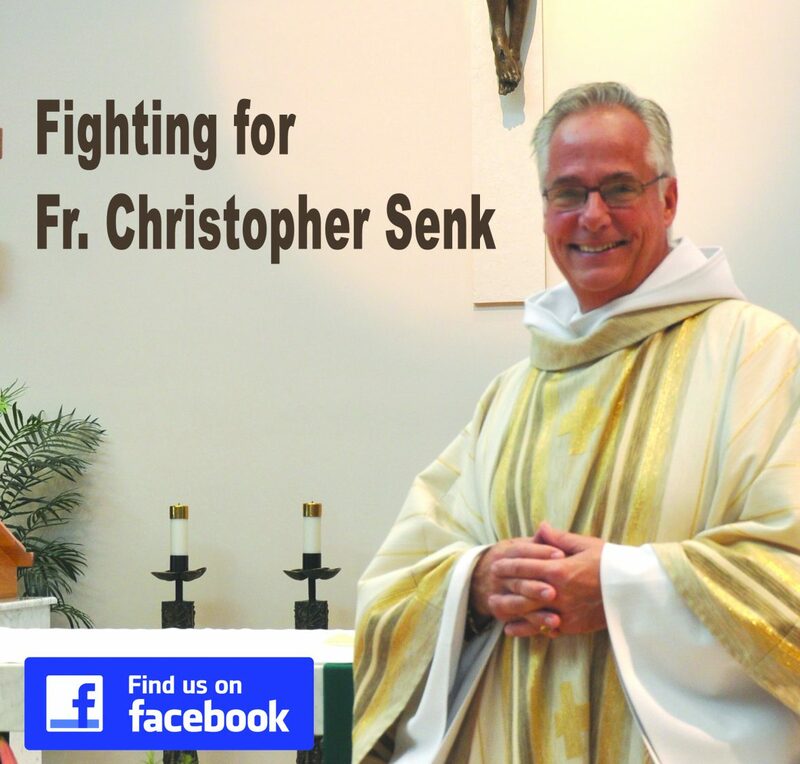 Christopher will be strong and resolute as a faithful priest in service to God’s people and will maintain a sense of optimism, hope, and determination as he faces spiritual and physical challenges. We pray to the Lord. That those who are ill during this Holy Week of the year may know their sufferings are joined with Jesus in his passion confident that God will never abandon them, and that they will experience the joy of the Resurrection. We pray to the Lord. That we may be consoled despite the deaths of our friends, family members, and parishioners knowing that they walked with Jesus and now enjoy the everlasting life and joy of heaven. We pray to the Lord. O God, as we conclude this Lenten season mindful of the suffering your Son endured for our sins and for our salvation, we ask that you hear our prayers and lead us through the sadness of this coming week to the joy and rebirth that is Easter. We make our prayers through Christ our Lord. Amen. and for all people of all faiths.